This is an antique silver choker necklace featuring a large antique style cross pendant and genuine crystal quartz points with complimenting crystal jewel beads. 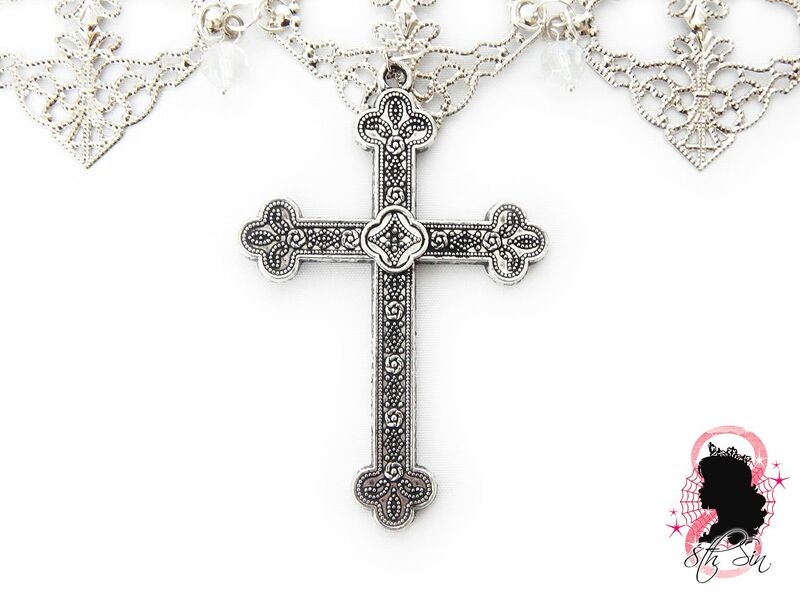 This cross necklace is one of a kind until further notice so make sure to snap it up whilst it's available. Made with silver plated findings, genuine crystal quartz points and acrylic bicone beads. 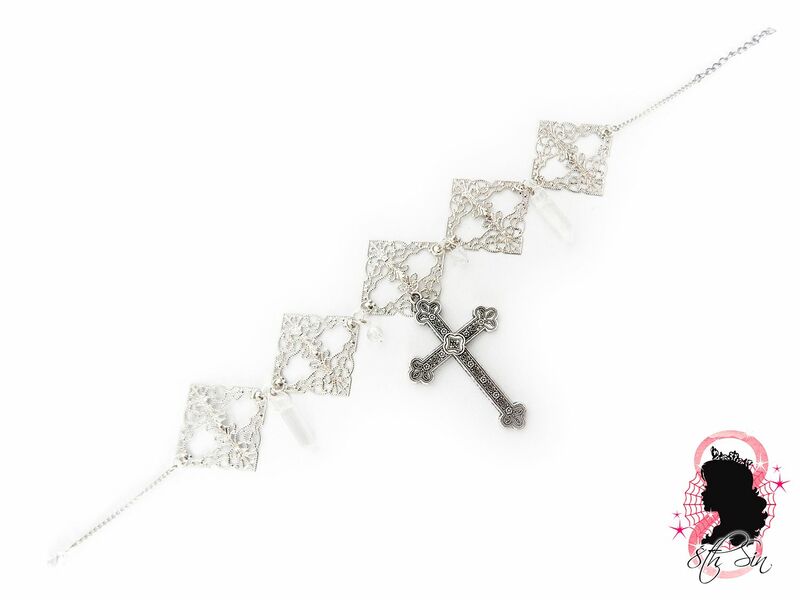 The filigree charms are made of flexible metal and can be bent to fit the contours of the neck for comfort, which also makes the necklace lighter than expected and easy to wear. 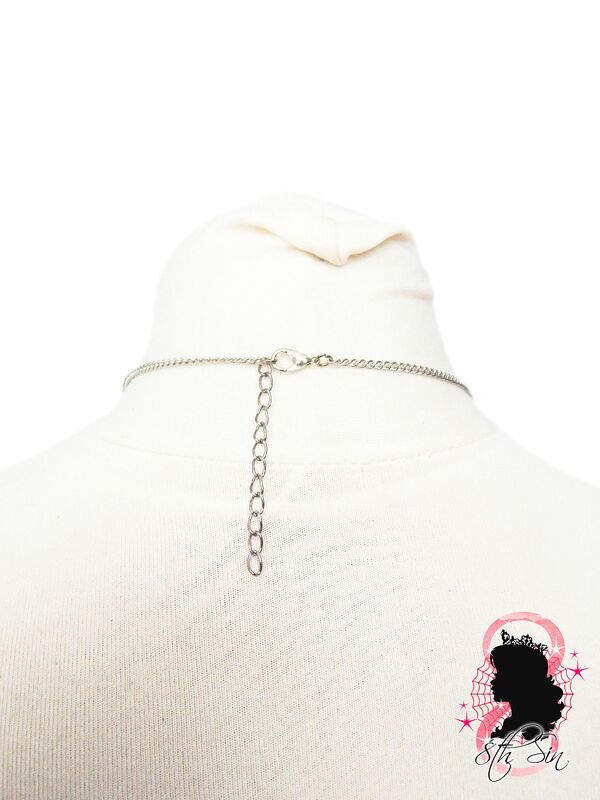 The choker length is 14"-16" including a 2" extender chain allowing you to adjust the necklace length. Custom lengths are also accepted, simply leave your desired length in the "Note to seller" part of checkout. 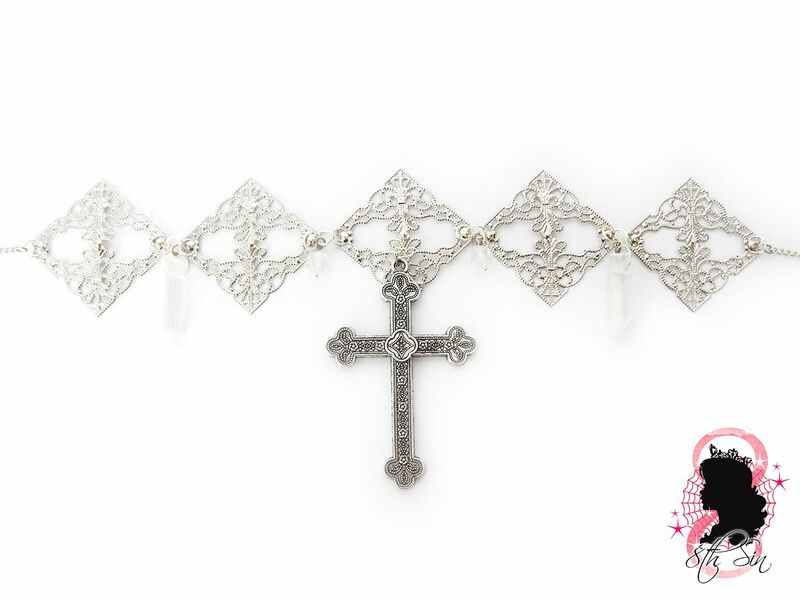 The cross charm measures approx. 3" in length.